You can’t tuck them into your wallet or pocketbook. You can’t use them in a parking meter or to pay your bar tab. Casinos won’t exchange them for chips. You can’t even hold them in your hand, yet people invest in them and their value is increasing. Welcome to the fascinating and often shadowy world of bitcoin – a completely electronic currency that isn’t backed by anything physical, like gold. 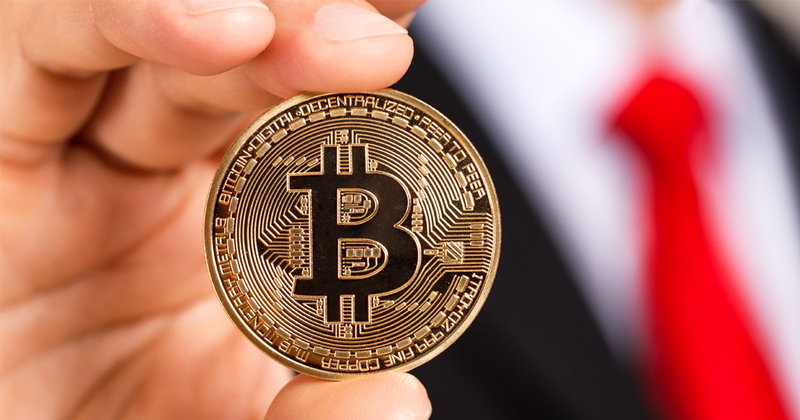 Though you may have heard of bitcoin, the concept is tricky to grasp, especially for those of us who find it challenging to replace the AA batteries in our TV remotes. Even technologically savvy individuals could find terminology such as “public and private key cryptography, blockchains and mining pools” a tad unsettling. A gentleman named Satoshi Nakamoto is credited with first publicizing his bitcoin invention in October 2008. Three months later, computer programmer Hal Finney downloaded the software and received 10 bitcoins from Nakamoto in the first ever transaction. What makes bitcoin unique is that unlike traditional banks, it is a decentralized system not tied to any individual or organization. As “crypto-currency,” bitcoin is not government regulated and its users are guaranteed anonymity – a particularly attractive feature for cybercriminals who cherish their privacy. Not surprisingly, bitcoin has experienced a couple of significant security breaches. In February 2014, Mt. Cox, once a dominant bitcoin exchange, suffered losses worth hundreds of millions of dollars when hackers infiltrated the system. Mt. Cox was forced to file bankruptcy. And just recently, roughly 120,000 bitcoin worth $65 million was stolen from Hong Kong-based Bitfinex, resulting in around a 10% drop in bitcoin prices. Just as banks over the years have implemented improvements to prevent robberies, bitcoin supporters are confident that trading platforms will figure out how to tighten security. In fact, informed observers believe the “blockchain technology” upon which bitcoin is built has enormous potential. Networks that allow companies to transact business instantaneously without having to answer to a central authority is clearly attractive. In his 2016 video presentation, Blockchain, digital strategist Dan Tapscott explains why he believes blockchain technology is the greatest innovation in computer science since the Internet. Bitcoin’s value ultimately derives from its acceptance as common currency. In other words, will you eventually be able to buy from Amazon using bitcoins? Companies are slowly starting to accept bitcoin as a form of payment. In July, the BBC reported that Uber has started letting passengers in Argentina use a Xapo debit card they can fill with bitcoins. “People are actually placing trust in technology, and it’s started to trump and disrupt and interrogate traditional institutions and how we think about currencies and money,” explains Paul Kemp-Robertson, an advertising resource agency owner, in his TED presentation, Bitcoin. Sweat. Tide. Meet the Future of Branded Currency. We may not know what impact and further developments will emerge from this technology, but bitcoin is here to stay. And you can take that to the bank.